Smooth, jazzy, swinging, and classy, describes the sounds of this diverse group. The group is made up of piano, trumpet, sax, bass, drums, and a female vocalist. Their repertoire includes JAZZ STANDARDS,DIXIELAND, SMOOTH JAZZ, BROADWAY STANDARDS, R&B, AND CONTEMPORARY MUSIC. They feature selections from - GEORGE GERSHWIN, COLE PORTER, DUKE ELLINGTON, FRANK SINATRA, JOHN COLTRANE, BILLIE HOLIDAY, SADE, AND MORE! The group can also go out as a duo or trio. YOU CAN HEAR OUR MUSIC, & SEE OUR VIDEO HERE ON GIGMASTERS! 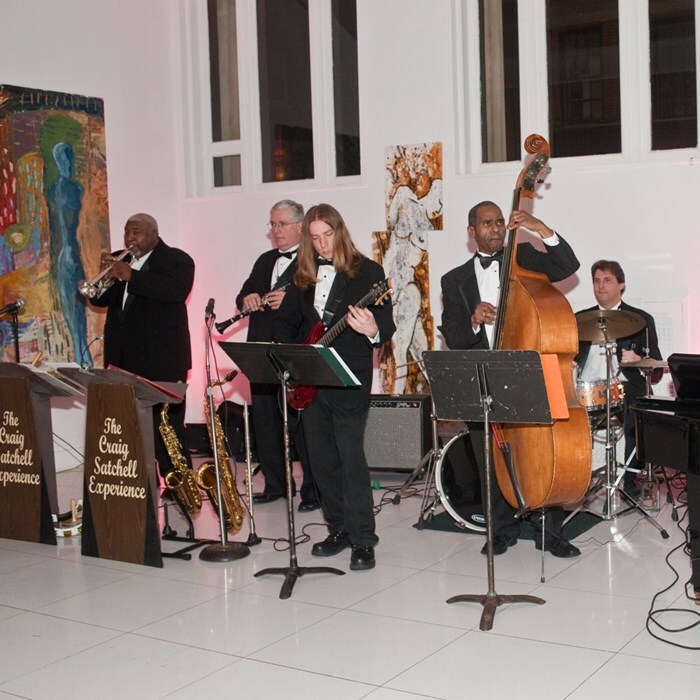 Whether its background music, music for dancing, or a combination of both; the Craig Satchell Jazz & swing Ensemble can make your event spectacular! The band was awesome and very talented. They were very accommodating to my needs and all the requests I had. They showed up on time and played all the songs I requested. We will have them back again, and more of the group in the future! Their music out on the lawn of an historic home here on the Eastern Shore, on a gorgeous summer evening was just perfect! So many people were so surprised at the beauty of this event with the music. We all loved it!! This was my second time using them! Great band! The band was very good! Thank you to them! Craig Satchell and his band performed during our cocktail hour and reception. They did a phenomenal job! They got everyone up on the dance floor, from 3 year olds to 83 year olds and everyone in between. Their ability to read the crowd and keep the music moving or transition to a slower tempo was spot-on. 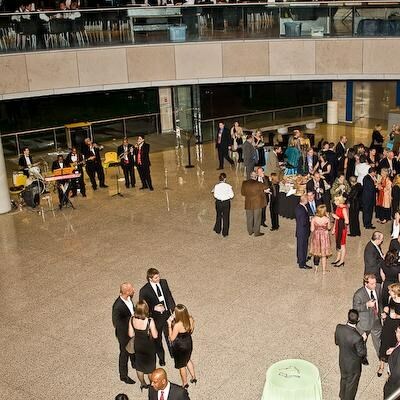 We highly recommend them for your event! Please note The Craig Satchell Jazz & Swing Ensemble will also travel to Columbia, Baltimore, Elkridge, Jessup, Simpsonville, Woodstock, Hanover, Savage, Annapolis Junction, Clarksville, Harmans, Laurel, Linthicum Heights, Marriottsville, Randallstown, West Friendship, Fulton, Highland, Dayton, Fort George G Meade, Garrison, Glen Burnie, Glenwood, Severn, Glenelg, Owings Mills, Southern Facility, Ashton, Brinklow, Cooksville.